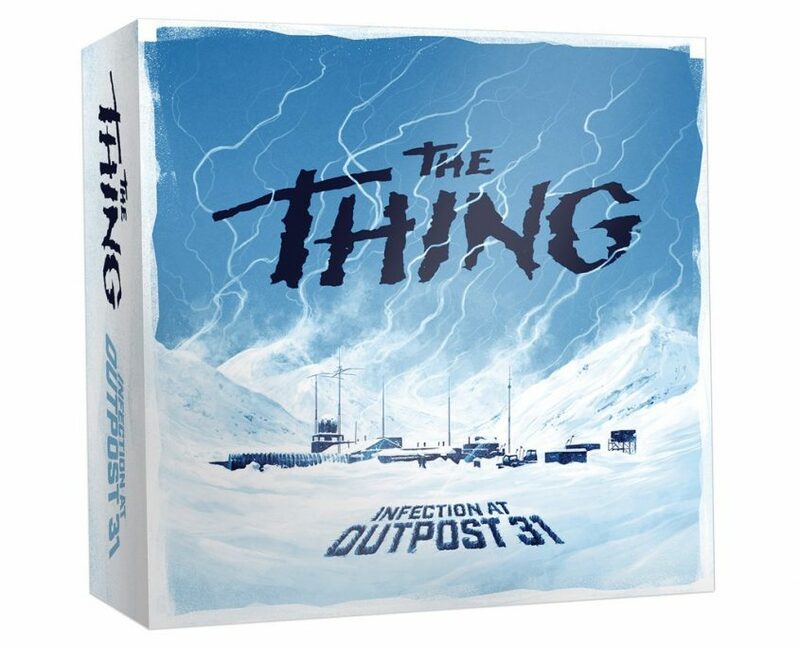 'The Thing: Infection at Outpost 31': The Horror News Network Review - Horror News Network - The Horror News You Need! 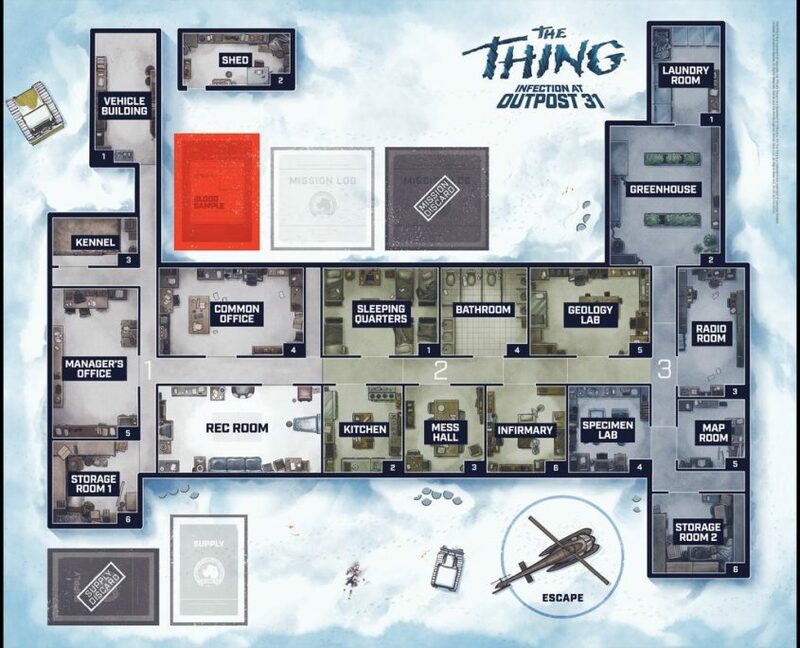 The game board showcases several different rooms which can be explored through three sectors atop the snowy, frozen landscape. The ID cards are different colors to show distinction between the Maintenance, Science, and Ops team, which consist of four characters each. Other components included are blood sample cards, supply cards, mission log cards, captain indicator, room chips, and an objective and infection tracker. 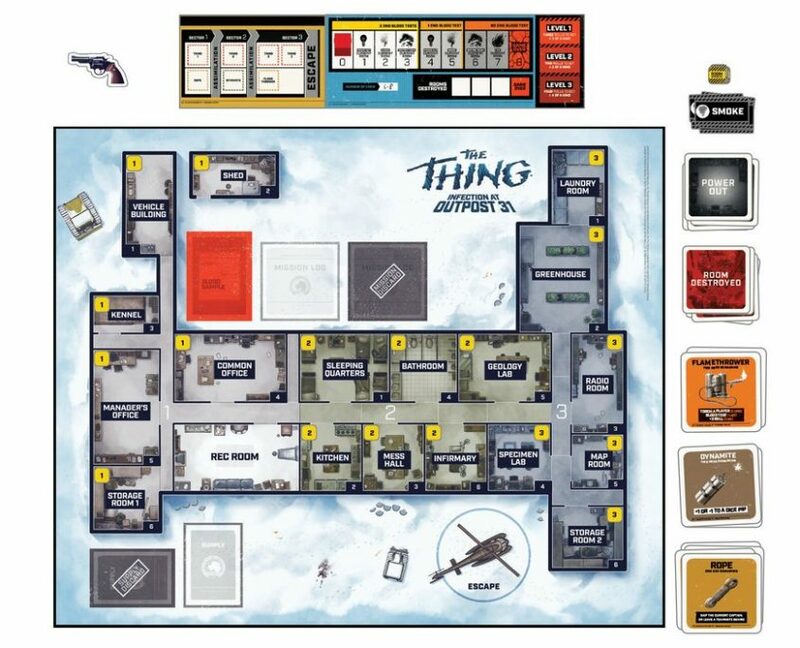 For non-gamers like myself, the amount of dice, card pieces and size of the rulebook could rival the Thing when it comes to sheer terror. As our Horror News Network team gathered and the game started, we struggled to figure out what to do next, often referring to the rulebook and online YouTube videos. After about an hour and a half our game ended with some great fun. Knowing that at least one of us was infected, each Horror New Network staff member was pointing their finger at their fellow cohort. As the captain struggled to identify who was human and would be allowed on the helicopter, the paranoia ratcheted up to the next level. This is truly where the game shines. We hope to play the game again very soon, this time with a full scope of the rules. 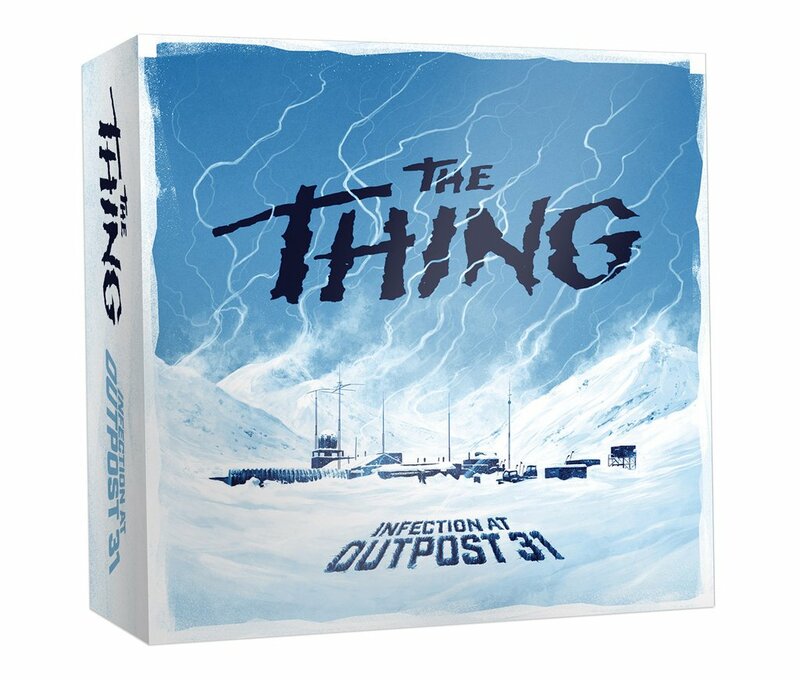 If you are a fan of John Carpenter’s 1982 horror classic The Thing, The Thing: Infection at Outpost 31 is a must have.